We have always known how good Hazard can be. But with his recent thrilling displays, he has possibly gone beyond the expectations. 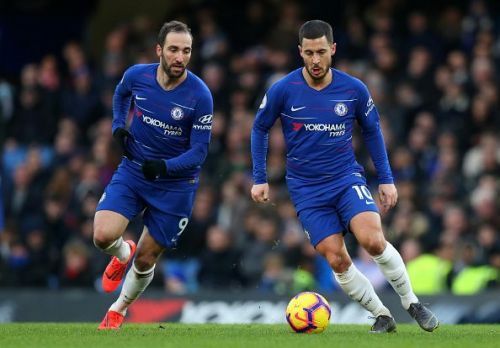 Hazard has scored 12 Premier League goals this season - which is twice the number of goals that he scored in 43 appearances in Chelsea's 2015-16 season. His last two seasons at Chelsea (2016-17 and 2017-18) saw him score a combined aggregate of 34 goals in 94 matches across all competitions. Hazard is beaming with confidence, and if the beginning of the season is anything to go by, it would appear that this may be the ideal opportunity for him to finally reach his zenith. In the event that he can keep up his spectacular run for the rest of the season, there could be no stopping Hazard. With this amazing form, at Real Madrid, it's difficult to envision anybody preventing him from achieving the stature he so longingly looks to reach.